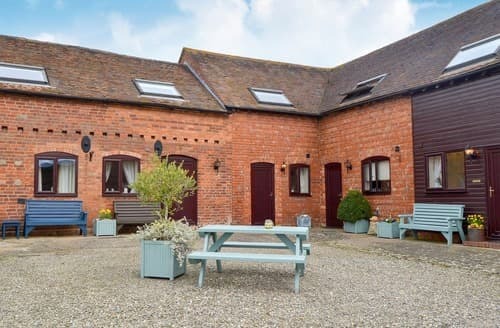 What our customers are saying about our Holiday Cottages In Condover To Rent. "Thoroughly enjoyed our stay at S79053. Ro greeted us at the cottage and explained briefly about the heating and so on. She had very kindly left us a welcome basket of some scones and jam and there was also milk and tea and coffee. The cottage is along a very quiet lane of about 5 houses and we very much appreciated the peace and quiet.. 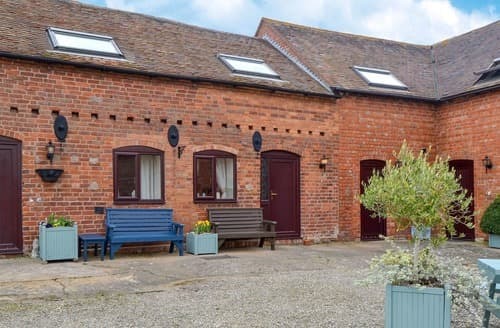 It was very comfortable and very clean and lovely to come back to in the evening and chill out in front of the fire It is very well equipped particularly in the kitchen and we catered for ourselves every evening on return. We found the Shropshire locals to be extremely helpful and friendly and Condover itself is very pretty. I particularly enjoyed the snowdrops in the churchyard - never seem so many. 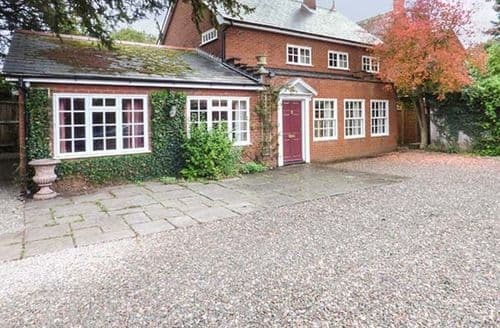 There is a big supermarket 10 mins away in Shrewsbury as well as a local shop in the village. Although we did the usual walks - Long Mynd, Stiperstones and Wenlock Edge plus a visit to beautiful Ludlow and Church Stretton we left feeling there was still plenty we hadn't had time to see and we will certainly return to Shropshire and S79053. Thank you for your hospitality Ro." 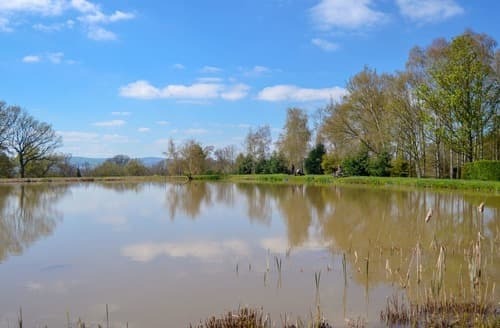 "When we arrived at S125420, the property was all we could have wished. 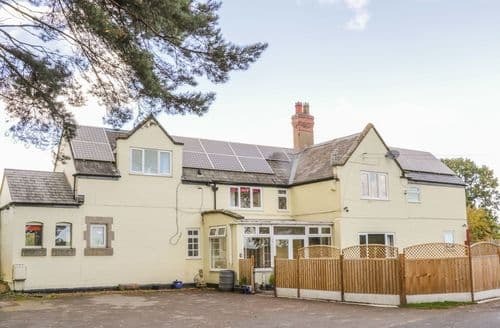 It was the perfect venue for our short break with all our family, with a games room complete with lots of games, a large lounge for chilling out, a formal dining room for large family meal times and a well equipped family kitchen for preparing large meals. Upstairs there was plenty of comfortable bedrooms and enough bathrooms to go around. S125420 itself has a long history dating back to 1852, including 106 years as a railway station and although it still sits on the train line, the traffic was light and actually added to the excitement of our grandchildren and fun of the adults. 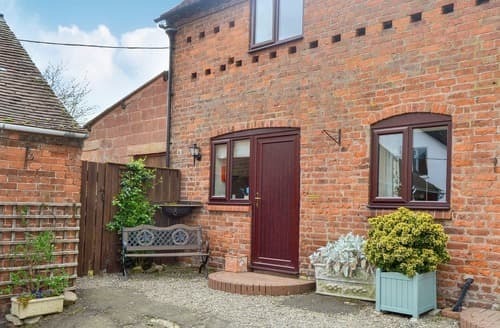 It certainly did not spoil the tranquility of the setting in a beautiful part of Shropshire, complete with great walking and hiking all around.The cottage is wonderful and so well equipped as a holiday let. The only suggestion would be to provide information in the folder about recycling. Many thanks Best wishesIt was comfortable with lots of space for the kids to play. 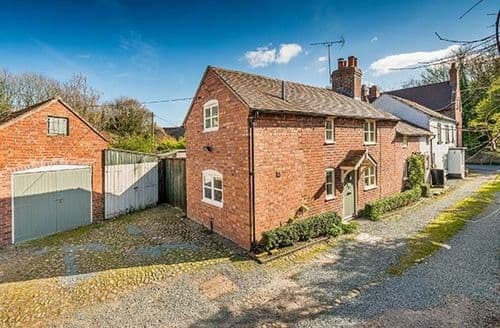 A great base for exploring Shropshire." "Ro greeted us at the cottage and explained briefly about the heating and so on. She had very kindly left us a welcome basket of some scones and jam and there was also milk and tea and coffee. The cottage is along a very quiet lane of about 5 houses and we very much appreciated the peace and quiet.. 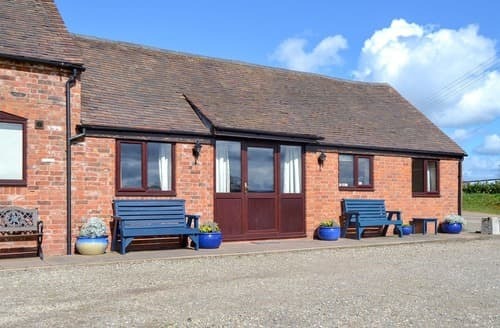 It was very comfortable and very clean and lovely to come back to in the evening and chill out in front of the fire It is very well equipped particularly in the kitchen and we catered for ourselves every evening on return. We found the Shropshire locals to be extremely helpful and friendly and Condover itself is very pretty. I particularly enjoyed the snowdrops in the churchyard - never seem so many. There is a big supermarket 10 mins away in Shrewsbury as well as a local shop in the village. Although we did the usual walks - Long Mynd, Stiperstones and Wenlock Edge plus a visit to beautiful Ludlow and Church Stretton we left feeling there was still plenty we hadn't had time to see and we will certainly return to Shropshire and S79053. Thank you for your hospitality Ro." 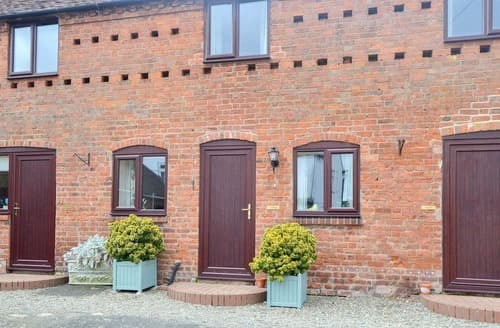 "Beautiful cosy cottage, had everything you could need for a break away. Nice to be greated by the owner to hand the keys to us and explain bit and bobs about the cottage. A text to make sure we settled in ok was a nice personal touch too. We also thoroughly enjoyed the bread and scones that were left for us, plus milk in the fridge for a cup of tea after a long drive! Decor was lovely and felt comfortable and at home straight away. Even with snow falling outside we were warm and cosy thanks to the woodburner. What was also great was having the regular radiators on and being able to alter the temperature ourselves. Comfortable bed in the main bedroom and it was a nice touch to have a dressing table in the smaller spare room. Great warm and powerful shower. Well equipped kitchen. Sweet courtyard out the back. Peaceful and pretty village. Lots of interesting places to visit near by. 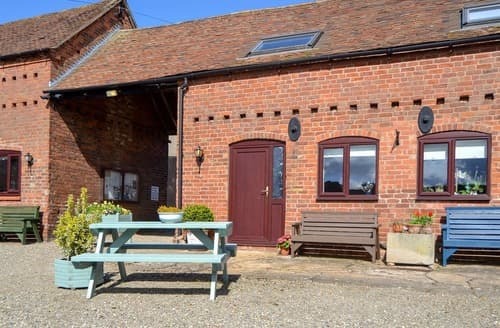 Overall our stay was relaxing and we felt comfortable and welcomed at Borrwers cottage." "Nice to be greated by the owner to hand the keys to us and explain bit and bobs about the cottage. A text to make sure we settled in ok was a nice personal touch too. We also thoroughly enjoyed the bread and scones that were left for us, plus milk in the fridge for a cup of tea after a long drive! Decor was lovely and felt comfortable and at home straight away. Even with snow falling outside we were warm and cosy thanks to the woodburner. What was also great was having the regular radiators on and being able to alter the temperature ourselves. Comfortable bed in the main bedroom and it was a nice touch to have a dressing table in the smaller spare room. Great warm and powerful shower. Well equipped kitchen. Sweet courtyard out the back. Peaceful and pretty village. Lots of interesting places to visit near by. 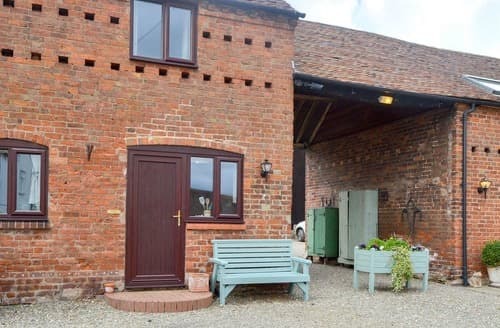 Overall our stay was relaxing and we felt comfortable and welcomed at Borrwers cottage."